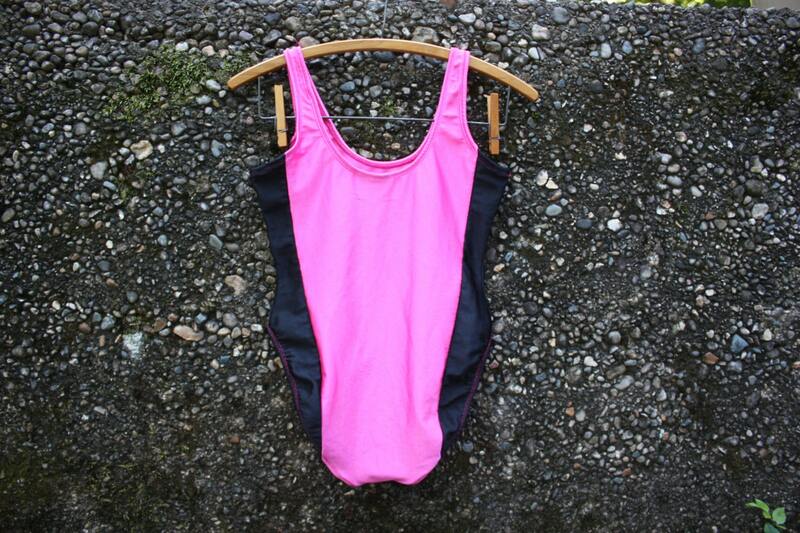 Stevi Brooks Beverly Hills CA Vintage Hot Pink and Black One Piece Swim Suit. 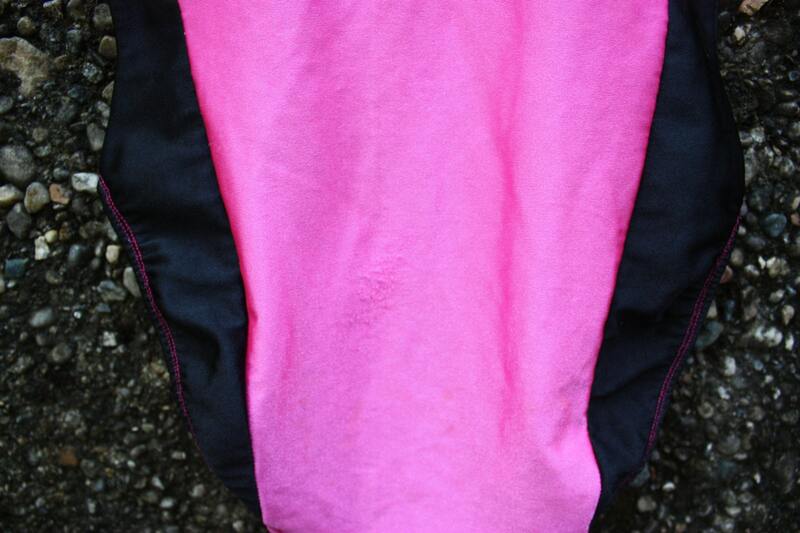 High-cut Thigh. Size M. Made in USA. 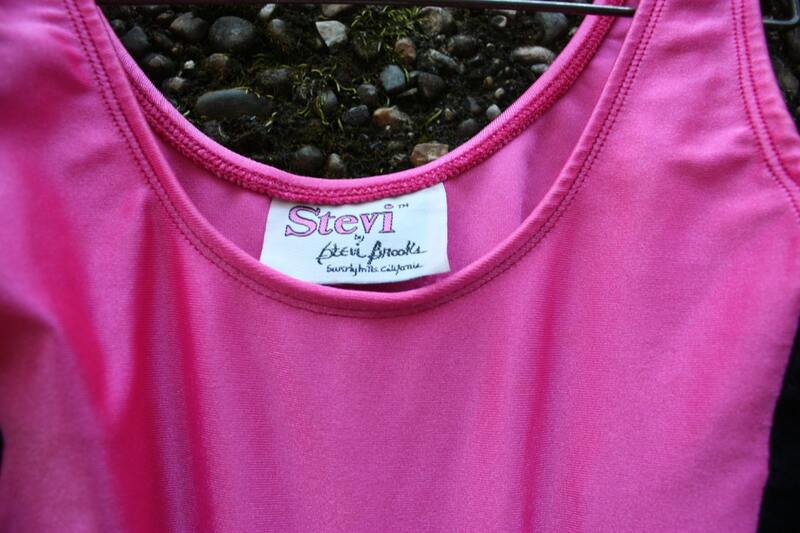 Hot pink with black sides, one piece swim suit by Stevi Brooks of Beverly Hills, California. High cut at thighs and medium scoop neck on front and back of suit. Condition: Very Good Vintage. In great shape for swimwear, has little wear. Some stiches out on left strap. 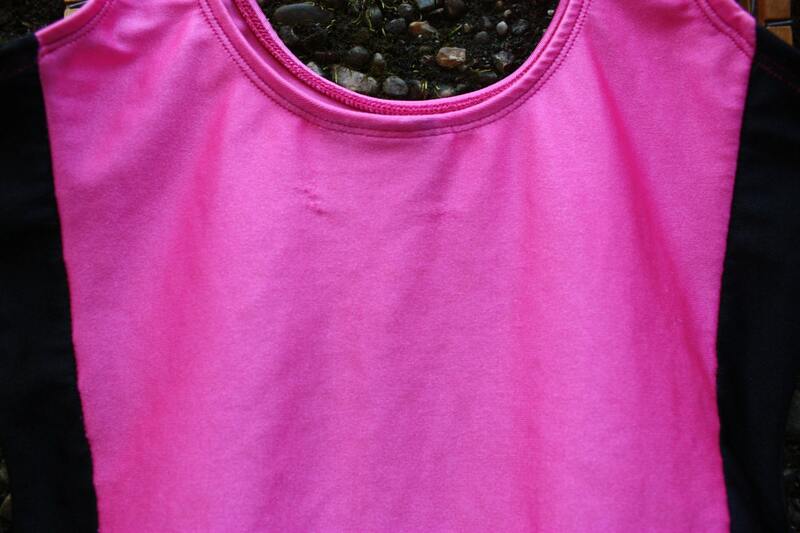 Very minor pilling on center/top of bum area (pic 4) and near the left bottom corner of the label on the back.